In today's frenetic and rapidly changing world we create the space for conversations that lead to change. Re-Think is a leading practitioner of experiential and adventure based learning designed for the modern world. We choose to work in inspirational settings which naturally draw out human creativity and inspiration. Combined with contemporary leadership theory, coaching and innovative design we develop powerful adventure experiences that provide vivid lifelong learning. Our approach redefines outdoor experiential learning. We have taken what we believe to be the most powerful learning methodology and overlaid a modern approach delivered by world class leadership trainers. In our experience, people develop and are at their most creative when they feel safe and supported. We create the right environment where people can stretch themselves and develop their leadership confidence. From a safe base we challenge in rapport to enable people to realise their full potential regardless of starting point. Our mission is simply to assist people to reach their full potential and create great places to work. We specialise in leadership development at all levels, building high performing teams and fast-track development. All our programme are bespoke, tailored around your needs and objectives - we do not have an "off the shelf" option. As a niche provider, you will find us surprisingly cost effective due to our learn structure. "Society seems intent on conditioning us to lives of conservatism and security, on presenting risk as an unhealthy concept. And yet there is nothing more damaging to the human spirit than a life wrapped in cotton wool, a life of contrived safety and conformity." The art of leadership gives meaning, purpose and direction to organisations. Leadership unites people in the same direction, stands up for what is right and needs to be said. It is leadership that drives changes and creates organisations worth working for. Vision being clear about what you what to achieve. Short, medium and long term, how does this relate to your Context. Exploring past, present and future contexts gives greater understanding of core beliefs, current situation and future aspirations. Clarity on goals and context provides insight into powerful personal leadership Actions required to move forwards in a aligned congruent way. We strongly believe in a strengths based approach to development. That people are most effective when drawing on their innate talents and seek to develop the subtle yet crucial, changes that lead to big differences in performance. We see Leadership existing in two forms: Strategic and Responsive, and assist participants to understand and deliver in both areas. Re-Think provides space in an increasingly frenetic world, to allow people to clarify their leadership thinking, how they want to act, and what they want to create around them. Central to all our leadership programmes is expert one to one coaching support and personal feedback regarding key development areas. Re-Think trainers have experience of delivering leadership development programmes from first line manager through to board level and within international business schools. Participants re-enter their organisations with a clarity of goals and actions, also constantly asking the question "right now, what do I need to do to provide leadership?" Re-Think is a leading practitioner and has a wealth of experience in designing and delivering graduate development programmes. High performing teams outperform individual working groups every time. Re-Think consultants have a wealth of experience in developing high performance teams at every level. By providing stretching, yet achievable challenges we develop a sense of team trust and self belief. We ensure teams feel united and that they have a clear common purpose and of shared way of working. The foundation to building teams lies in developing trust via open dialogue and our actions. Re-Think create an environment for 'conversations that matter' by a combination of great locations, skilled trainers and stimulating projects to explore and develop team effectiveness. What do we as a team stand for? What is our common goal? Defining roles and responsibilities and accountability. Energy - shown by a sense of commitment to the collective task rather than energy being invested into politics and self-protection. Purpose - high performance teams have a clear sense of collective purpose that pulls them together to achieve. It will be seen as an achievable yet stretching target. Common Way of Working - clearly defined sense of culture. Commitment - to each other and each others development. Open Communication - including open debate over areas of disagreement, once decisions are made the team all stands by them. A Sense of Challenge and Support - to and from all team members. We believe the right blend of inspirational location and skillfully crafted programme creates a unforgettable development experience. Re-Think is based in the stunning Lake District recognised as a Enesco world heritage site for its culture, arts and landscape. 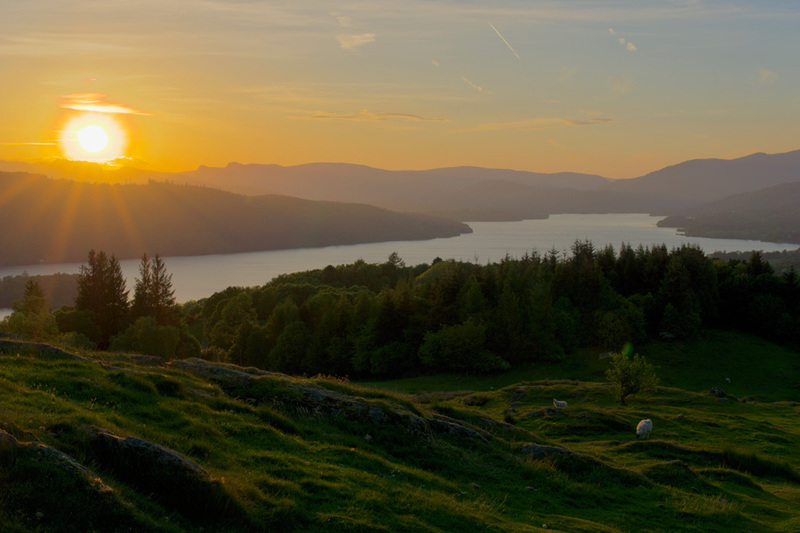 The Lakes is just one hour from Manchester and 3 hours from central London by train. Knowing the Lakes as well as we do, this is our first choice for providing an outstanding programme. We also regularly run programmes from our favourite locations in the Cotswolds and New Forest. Location is important to us and we feel has a huge impact on the overall quality of the programme. We work hard to choose special places with a sense of ambiance. Places that allow participants to relax, enjoy their learning and lead to great developmental conversations. "The tutors have a fantastic ability to get people talking, promote discussion and allow people to learn through realisation"